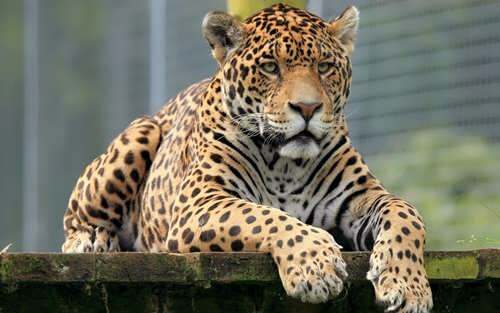 The jaguar is the largest living member of the cat family in North and South America and the third largest in the world. Its coat is yellow–brown with black spots and rosettes, or rings, encircling spots. An average adult jaguar has a head and body length of 1.2 to 1.8 meters and a tail length of 46 to 76 centimeters. It stands about 0.7 meter high at its shoulder and weighs between 45 and 115 kilograms. Jaguars are good swimmers, runners, and tree climbers. They eat fish, frogs, turtles, small alligators, iguanas, peccaries, monkeys, birds, deer, dogs, and cattle. 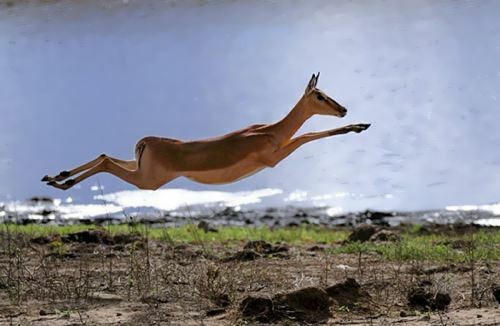 They are solitary mammals, so males and females come together only to mate. A female jaguar gives birth to a litter of one to four cubs, and they may stay with her for up to two years. 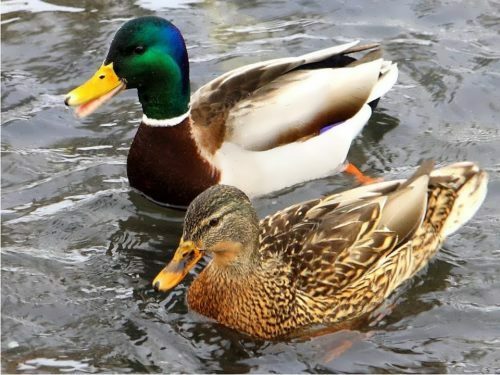 Ducks are waterbirds that are related to geese and swans. There are about 100 species of duck. They are found almost all over the world. Many types fly south in winter. Ducks are champion swimmers and are at home almost anywhere near water. There are three kinds of ducks: Dabbling ducks put their heads underwater to eat plants that grow there. They build their nests in hollows near the water. Dabbling ducks can fly very fast. Diving ducks dive deep down into the water to find things to eat. They mostly eat fish. They are very strong swimmers. Perching ducks make nests in trees and hold on to the branches with their long-clawed toes. On the ground they waddle from side to side, moving slowly in a funny, jerky way. 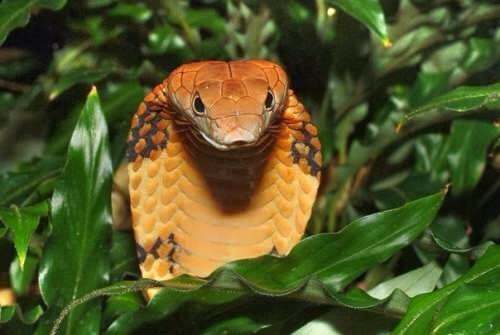 Cobras are poisonous snakes that flatten their necks into the shape of a hood when they sense danger. There are several species of cobra. They live in the southern parts of Asia and Africa in grasslands, forests, deserts, or along the shores of lakes. Cobras are usually a single color or spotted. When a cobra feels threatened, it raises up its head and extends the ribs in its neck. This stretches the skin to create the hood. They hunt in the evening and at night. Cobras eat mammals, birds, snakes, lizards, frogs, and even fish. Some types of cobra lay eggs. Others give birth to live young. 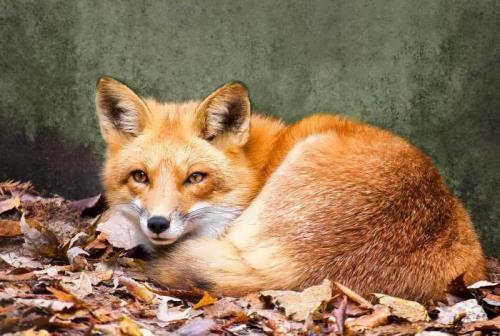 Foxes are mammals that look like small, bushy-tailed dogs. They live all over the world. The red fox likes farmland, the gray fox – forests, the silver fox – cold areas, and the Arctic fox lives around the North Pole. Foxes are about 81 to 145 centimeters long, including the tail. They usually weigh 3 to 8 kilograms. They have long fur that varies in color: reddish brown, black with gray-tipped hair, brownish, white. Foxes usually live in dens. Most of them hide by day and hunt by night. They eat almost anything: birds, including chickens, small mammals, and rodents. Iguanas are reptiles that belong to a large family of lizards. Most species of iguana live in the Americas. The best-known kind is the common, or green, iguana. It is found from Mexico south to Brazil. Some kinds of iguana live on the Galapagos Islands. The males are larger than females and grow up to 2 meters long and weigh up to 6 kilograms. Iguanas are well equipped for speed and climbing with four powerful legs, each with five long thin toes tipped with strong claws. 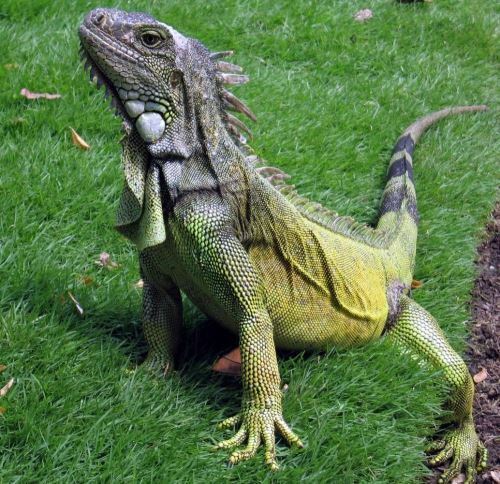 Iguanas eat leaves, fruits, insects, small mammals, and birds. The marine iguana of the Galapagos Islands eats seaweed. 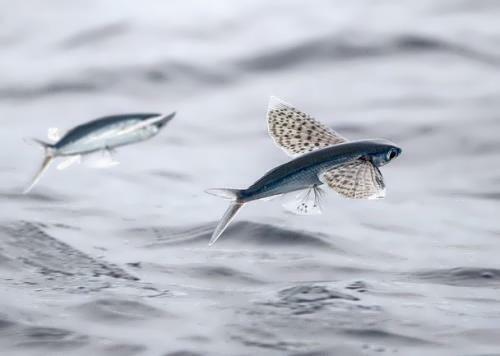 Flying fish is a unique fish. They do not actually fly by flapping wings, like birds do. Instead, they jump from the water and use their fins to glide through the air. They live in warm seas throughout the world. There are about 40 different species. They are close relatives of the needlefish, halfbeaks, and sauries. These fishes are usually less than 45 centimeters long and are deep blue on the back and sides and silvery underneath. Their pectoral fins are almost as long as the body and serve as wings. The tail fin may vibrate as rapidly as 50 times per second and by these movements the fish may make several thrusts into the air in rapid succession.